Jtec is a total IT solutions provider. We boast a confident and experienced web design staff, including: graphic designers, software engineers, and web developers. If you're looking for a confident, capable, and creative team of web developers to bring your brand to the internet, look no further. 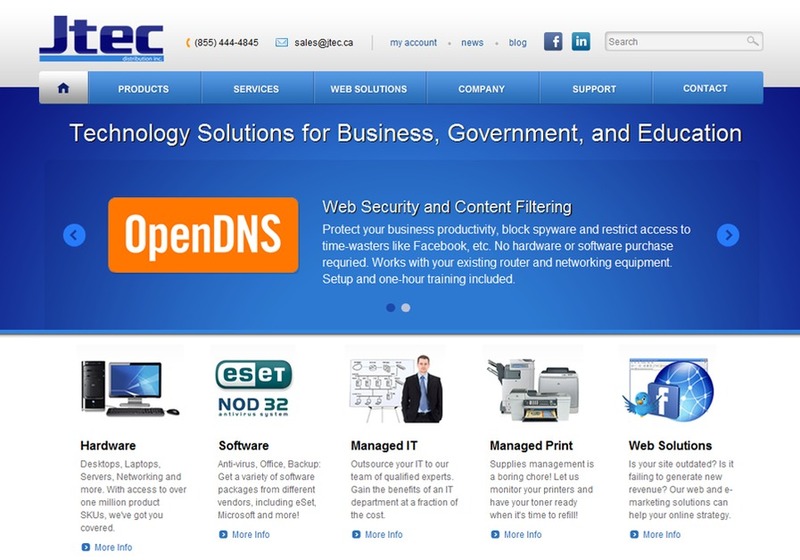 This is a Jtec Distribution Inc.'s new website!